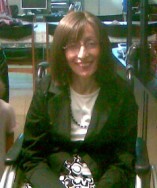 It is now the 6th anniversary of being called a physically challenged mother. Or in more technical terms, a quadriplegic. I was hospitalized 6 years ago just before Rosh Hashanah. From that day on, I wasn’t able to walk properly and since then I have mainly been confined to a wheelchair. Every year, when the anniversary comes up I have a dilemma. Should I just ignore the day, should I cry all day long or should I celebrate the day? This is the first year that I have felt like celebrating. Why? There is a lot I have lost. For me, the most important thing is independence. I am always reliant on other people to help me. Like getting out of my house, like getting on to public transport and like getting my meals. Before this happened to me I was always proud of how I super-independent I was. I could run a home, look after 5 children and earn an income to support the family. Now that independence has gone I am able to reflect on whether it is really important at all. At the end of the day, however much we think we are in control of running our lives, we are not. We can put loads of effort into finding a new job and nothing happens. We can want 5 beautiful healthy children and we get given a child with a serious heart problem. We can want the perfect marriage and we end up arguing all the time. No, independence is not important. We are not in control of our lives. Only the One above knows what we deserve and what we will be given. What about achievements? For me this was always important. I have an A1 personality which means I have to get the top grades in college, the top career and the top salary. Now I can’t achieve half of what I want to achieve in a day. Even the simplest of tasks like getting myself dressed takes an eternity. So after 6 years have I achieved anything? Yes. I am still in this world! Three of my close friends have passed away over this period. With all my physical limitations I can still breathe, talk and think. In fact, the first question I asked the neurologist on finding out that I was disabled was “Is my head OK?”. I have all my faculties, and believe me, this is something to celebrate. Yes I am celebrating life, albeit a different life. A little more about me: I am a real old-fashioned Marketing Consultant. Yes, an “old” Britt with more than 25 years of old media experience. TV, radio, print, PR and even brochures. Leaving behind glamorous London, I settled in the holiest place in the world JERUSALEM. During and after 5 beautiful children, I have specialized in Internet Marketing, starting as Marketing Manager at Jpost.com. Hooked on Internet and Jewish Media, I joined The J Media Group as their expert on pay-per-click advertising on Google and Facebook. As well as advising and buying online advertising to the Jewish and Israeli world. But always one to be different, I became the only person in Israel to be disabled from an overdose of Vitamin B6. This was the turning point in my life: humor, giving and smiling is now my motto. With my love for marketing and the Jewish world, I added Social Media into my portfolio. Selling email lists, Facebook/Twitter updates and banners, I can assess every medium objectively. May you have a year of joy, nachat and bracha. May you see all your dreams realized beyond your wildest expectations. I feel selfish and guilty about not being positive. Thank you for giving me perspective. Wishing you a happy, healthy, peaceful and prosperous New Year. Dear Shoshana, Shalom! happy seen your face today. I’ve always loved you as Jewnet on twitter. I appreciate your knowing that we do not have control over our lives. I love and admire you for holding on to your faith. God is sustaining you and he will continue to. I celebrate with you. Always look at your children and thank God. I love Israel. I was there in January 2009. Love and blessings to your family! awesomes story- you just helped me figure out a problem- there isn’t one! inspirational. somehow other issues fade into oblivion. You should go from strength to strength. your cure can be as unexpected as your illness! kesiva v’chasima tova. in a sense that is growth. so too you are taking something that is seen typically as a negative – dependence on the help of others – and saying – Who Says It’s Bad? maybe it’s growth? Thank you for sharing your inspiring story. I recently lost my close friend to breast cancer, she was a young mother who had just given birth to her first baby and passed 2 weeks shy of her daughter’s first birthday. It has completely changed my outlook on life. Like you said, yes! We are alive! We are in this world! Hashem is the ultimate planner and He runs the show, and we need to do the best we can with our time on Earth, I have never felt more aware of that until now. I wish you a Shana Tova, a year filled with many many blessings and gmar chatima tova.